Although I now classify myself as an agnostic, thirteen years of Catholic schooling and four spent as an altar boy instill a love of the hushed reverence of the Catholic mass. From the scent of incense rattling around the burning thurible to the towering candles, I was a born sucker for the rituals and the choral works that pervaded my Sundays. I was never one for the sermons, but the hymns always kept me coming back throughout my childhood. I still find myself humming many of them and reliving those moments where the entire neighborhood joined together in song. There was a communal, ritualistic aspect of it which spoke to me even when I realized that the tenets of Catholicism weren’t going to jive with my emerging beliefs. Obviously, music has played a major role in my upbringing and everyday existence, otherwise I wouldn’t feel compelled to spend my free time penning these pieces. Looking back, I feel as if many of my favorite albums hearken back to the ethereal choruses of my Catholic upbringing. Since I no longer found solace in Catholicism, I searched out secular music that tapped into the mysticism and ritual that appealed to me as a child. Therefore, there has been much time spent listening to Arvo Part, John Tavener, Cocteau Twins and Lisa Gerrard in an attempt to tap into the parts of mass that I loved as a child. 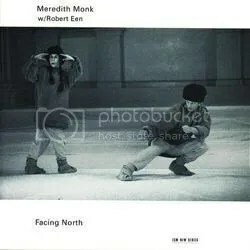 Recently, I have revisited the music of Meredith Monk and feel as if her 1992 album Facing North achieves that same sense of the sublime. 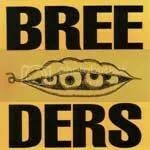 I bought in a cut-out bin ten years ago and dismissed it as a bunch of wanky vocal acrobatics and smarmy artsy-farsty twaddle. However, I thought the Meatmen and Killdozer were pretty swell at time and probably wasn’t in a mood for self-reflection at that time in my life. Facing North was inspired by her time spent in rural Canada during the most dark and frigid months of winter. Her inspiration comes through in the minimal nature of her work and one gets a feeling of isolation, detachment and a touch of madness after listening to the entire album. Monk is best known for her ability to manipulate her voice in unbelievable ways, but Facing North sees her toning down her act for a more restrained approach. The results are so goddamn gorgeous, occasionally ridiculous, but always riveting in its single-mindedness. Facing North reminds me of an absurd and playful version of the choirs of my youth and takes me back to time when I believed and sang my little heart out in praise of something larger than myself.